Robert William Chambers (May 26, 1865 - December 16, 1933) was an American artist and fiction writer, best known for his masterpiece, a book of short stories entitled The King In Yellow, published in 1895. He was born in Brooklyn, New York, to William P. Chambers (1827-1911), a famous lawyer, and Caroline (Boughton) Chambers, a direct descendant of Roger Williams, the founder of Providence, Rhode Island. Robert's brother was Walter Boughton Chambers, the world famous architect. Robert was first educated at the Brooklyn Polytechnic Institute, and then entered the Art Students' League at around the age of twenty, where the artist Charles Dana Gibson was his fellow student. Chambers studied at the Ecole des Beaux-Arts, and at Academie Julian, in Paris from 1886 to 1893, and his work was displayed at the Salon as early as 1889. On his return to New York, he succeeded in selling his illustrations to Life, Truth, and Vogue magazines. Then, for reasons unclear, he devoted his time to writing, producing his first novel, In the Quarter (written in 1887 in Munich). His most famous, and perhaps most meritorious, effort is The King in Yellow, a collection of Art Nouveau short stories published in 1895. 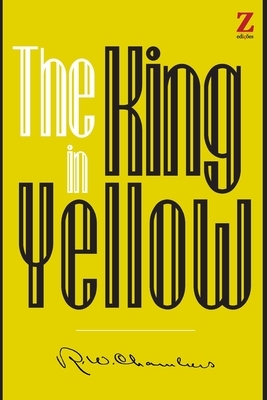 This included several famous weird short stories which are connected by the theme of a fictitious drama, The King in Yellow, which drives those who read it insane. E. F. Bleiler described The King in Yellow as one of the most important works of American supernatural fiction. It was also strongly admired by H.P. Lovecraft and his circle. During World War I he wrote war adventure novels, and war stories, some of which showed a strong return to his old weird style, such as "Marooned" in Barbarians (1917). After 1924 he devoted himself solely to writing historical fiction. Chambers for several years made Broadalbin, New York, his summer home. Some of his novels touch upon colonial life in Broadalbin and Johnstown. On July 12, 1898, he married Elsa Vaughn Moller (1882-1939). They had a son, Robert Edward Stuart Chambers (who sometimes used the name Robert Husted Chambers). Robert W. Chambers died on December 16, 1933, after having undergone intestinal surgery three days earlier."